Hat, for a child. Hat of natural wheat straw braid, with frill of white muslin around the crown; bow behind. The brim is faced with gauged white muslin, and there are ties of the same. The crown is lined with white cotton. 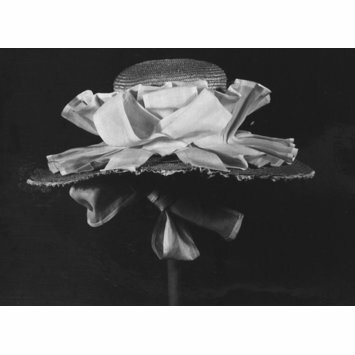 The crude stiching and gathering of the hat's brim and the joining of the crown to the side of the hat, suggests that this could have been an adult's hat which was repurposed for a child. 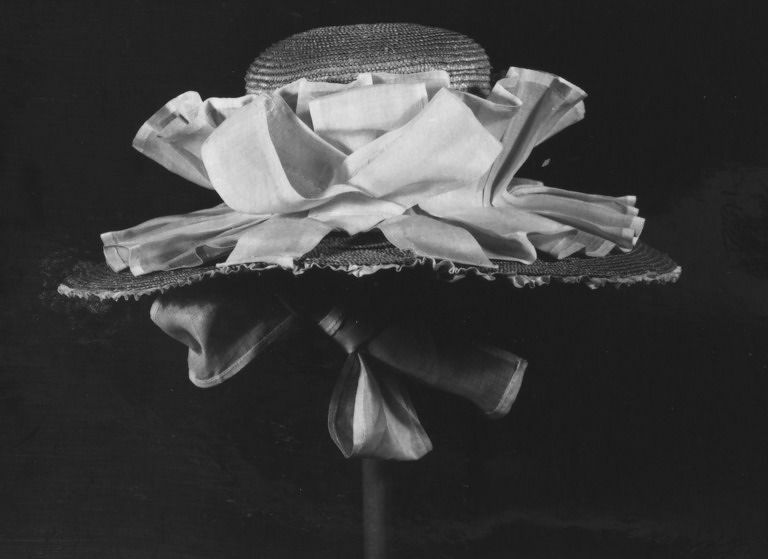 (original 1962 description): Hat, for a child. Hat of natural wheat straw braid, with frill of white muslin around the crown; bow behind. The brim is faced with gauged white muslin, and there are ties of the same. The crown is lined with white cotton. The crude gathering of the hat's brim and the joining of the crown to the side of the hat, suggests that this could have been an adult's hat which was repurposed for a child.